Last night I decided to make some healthy dinner. 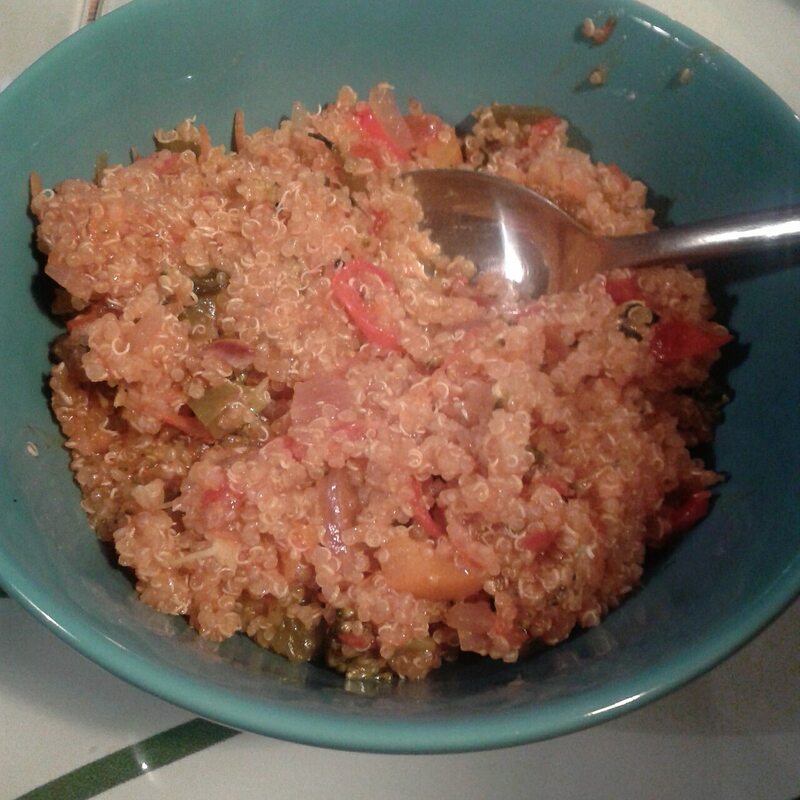 What can I say – it was a hit :D quite a few of you asked for recipe so here it goes! Heat oil in sauce pan. 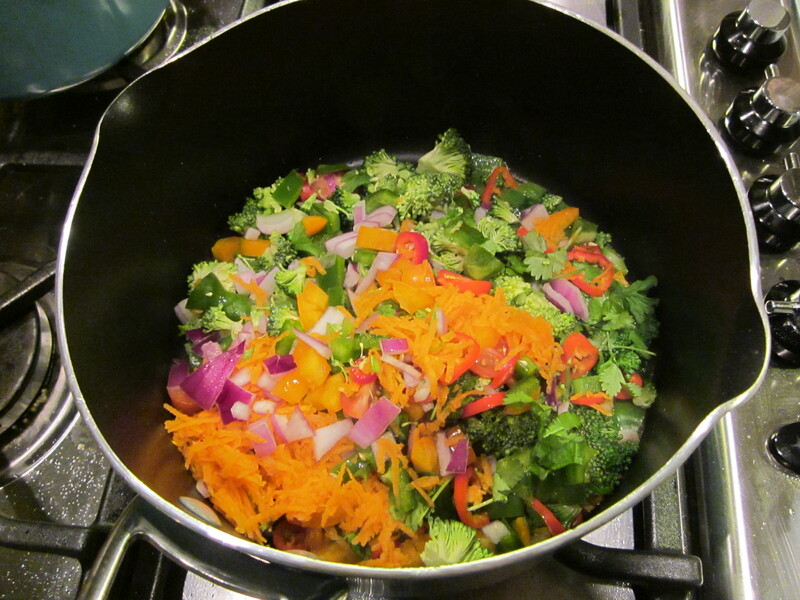 Add all vegetables and leave it to stir. After about 2-5 minutes add the tomatoes in juice and spices you want. Let it to simmer on a medium heat for about another 10 minutes, occasionally stir the mass. 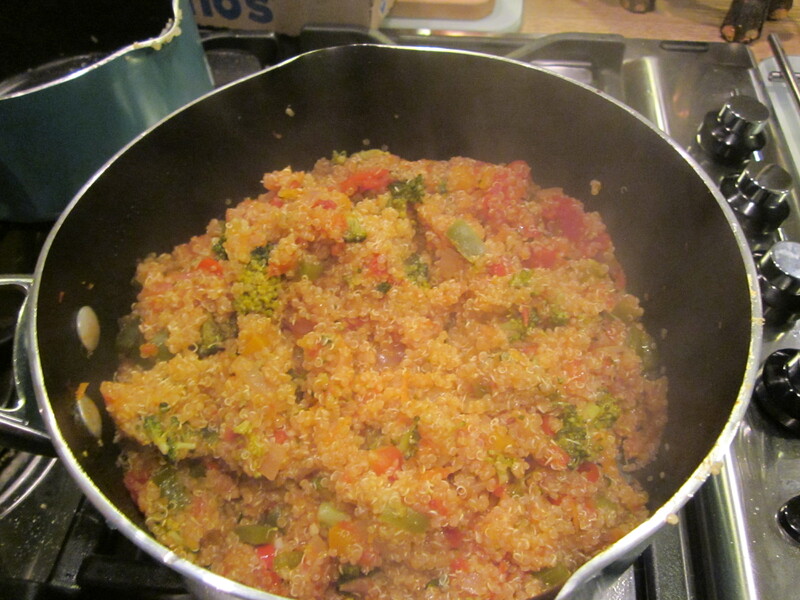 When all vegetables are soft, add cooked quinoa and mix it all up. Leave for another minute or so and enjoy!